Alsco Brands – Wide range of brands and services to help Australian businesses. Testimonials – Find out what our happy customers think of our service and products. Safe and healthy working conditions enhance productivity and reduce costs. This maxim may be obvious to a layperson, but when it comes to business owners, they often end up ignoring it, much to their own peril. Is lack of OHS at a workplace just a function of cost? What are the other reasons for lack of management support for good OHS? We examine the reasons and suggest how managements can see value in implementing OHS programs at workplaces. 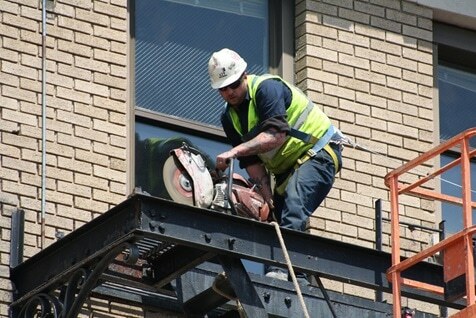 Workplace injuries, fatalities and illnesses cost billions of dollars every year. In the United States alone, it is estimated that, employers paid almost US Dollars 1 billion per week as direct worker compensations costs alone directly impacting employer bottom lines. According to OSHA, lost productivity from workplace injuries and illnesses costs companies US Dollars 60 billion each year. Further, during an economic or business downturn, slashing of health and safety programs are often the first steps taken by an organisation in a cost-cutting mode. On the other hand, employers that invest in workplace safety and health practices generally reduce injuries, illnesses and fatalities. This results in not only lower compensation and medical costs, lower non-compliance penalties and lower costs to investigate accidents. Health and safety professionals in an organisation get frequently frustrated by the lack of consistent management commitment to their programs which enhance occupational safety and health conditions at workplaces. So what are some of the barriers which prevent management from pursuing safety and health programs with consistency? Lack of standard terminology to describe EHS performance.This prevents managers from comparing their performance viz. others or against industry benchmarks. Inadequate technical skills to understand how occupational health programs and strategies affect financial outcomes. There are various tasks linked to OHS within an organisation which are sometimes viewed as a cost rather than as an investment. Each of these activities requires staff time, equipment purchase or lease, administrative supplies and sometimes even consultant fees. In order to get increased support of management for OHS activities, each of the above activities should be assigned a business value objective and should be measured in financial terms. The situation is improving as people responsible for health and safety of the workforce now have available tools to measure the effectiveness and performance of their programs in financial and monetary terms. A survey of Chief Financial Officers of 231 large and mid-sized companies about safety and insurance issues found that these executives found value in an effective workplace safety program. Productivity can be driven and through health and safety programs. It is essential to have a solid OHS program, developed with employee inputs to ensure plant, manufacturing shop and other parts of the premises are safe. With safety equipment such as Alsco’s hospital grade first aid kits, proper messaging to employees including through the use of a rental lift-and-lay, safety-message mat program from Alsco, these programs can be easier to implement. Finally, with clearly defined business value objective of each activity, an OHS program will align with management objectives, resulting in adequate support for such tasks. Partner with Alsco to ensure your organisation maintains a cleaner and safer workplace, enquire or call 1300 659 892 now. 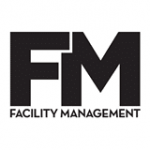 This article has originally appeared in Facilities Management Magazine, the Australia’s leading news source for facility managers and allied property management experts.. To be updated with the latest news and updates in Facility Management topics, visit www.fmmagazine.com.au.